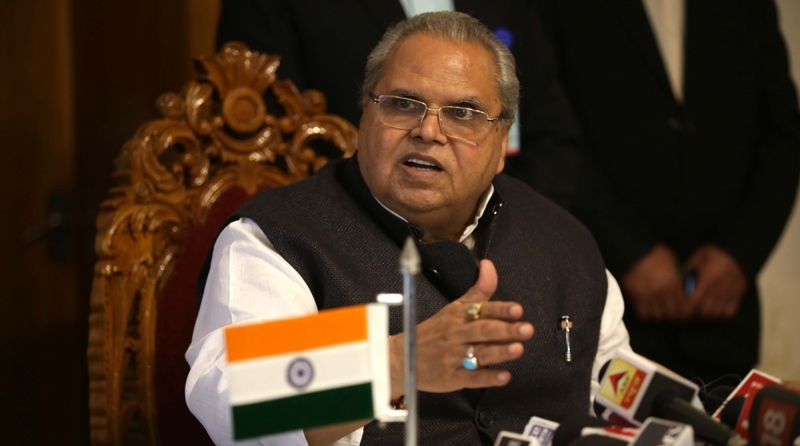 Governor Satyapal Malik has generated yet another debate by stating on Tuesday that he would have been left with no alternative but to install former separatist Sajad Lone’s government with the support of BJP had he consulted New Delhi before dissolving the Jammu and Kashmir Assembly. Malik made these remarks during a TV interview and repeated it while addressing students at a function in Gwalior (MP). “I want to make it clear once again. If I had looked at Delhi, I would have had to make a government of Lone; I would have been known in the history as a dishonest man,” the Governor reportedly said. Reacting to Malik’s statement, former chief minister and National Conference leader, Omar Abdullah, tweeted: “My compliments to Governor Malik for not looking to Delhi & for not taking their instructions thereby stopping the installation of a government of the BJP & it’s proxies formed by horse trading, defections & use of money”. I really don’t know what to make of Governor Sb revelations in Gwalior. We know the BJP & it’s proxies were desperate to form a government through horse trading & use of money but we’ve also never known a politically appointed governor going against the wishes of the centre. Another former chief minister and PDP leader, Mehbooba Mufti, who had last week faxed a message to Malik staking claim to form the government with support of NC and Congress immediately after which the Governor dissolved the assembly, tweeted: “Leaving aside the fax machine fiasco , good to see that governor Sb refused to take dictation from Delhi , rather opted for dissolution of assembly. This could be unprecedented, given the story of democracy in the state”. Malik had claimed that if he would have taken the opinion of the Central Government on Government formation in Jammu and Kashmir, the Peoples’ Conference Chairman Sajad Lone would have become Chief Minister but he dissolved the assembly keeping in view apprehensions of horse trading. “I want to reiterate it that I would have been compelled to form the government of Sajad Lone had I looked up to New Delhi but I didn’t want to go down in the history as a dishonest man”, he said. Malik said that he feared that horse-trading might have taken place to form the government and that it could have led to chaos in Kashmir. The Governor, however, claimed that both PDP and Sajad did not have the numbers to form the government as nobody among them came forward with their supporting MLAs. Meanwhile, J-K Raj Bhavan Spokesperson clarified on Tuesday evening that the Governor, while taking the decision to dissolve the Legislative Assembly, acted in an objective and impartial manner. 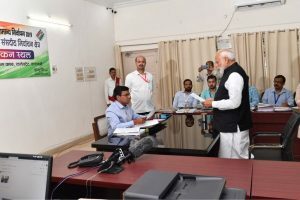 “There was no pressure or any kind of intervention from the Centre in the entire matter and some News Channels are misinterpreting Governor’s statement and putting them out of context to convey that there was pressure from the Central Government,” the spokesperson said.